The 575-mile-route traverses nearly the entire state, making it easily accessible for most residents. It’s meant to be spread out over an entire weekend, but if you don’t have that much time, simply click on the link below the map to alter the route. 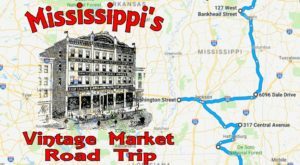 Start your road trip off in the charming town of New Albany, which is known for its impressive variety of antique shops. 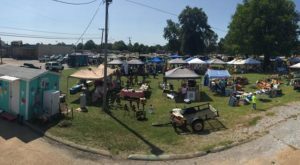 The Vintage Market, Blue Rose Antiques and Collectibles, and Riverside Furniture, Antiques, and Flea Market are just a few of the stores you’ll find in New Albany. 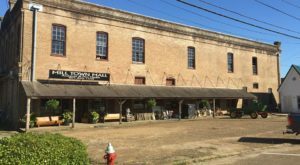 With two floors and 16,000-square-feet of sales space, Relics Marketplace is one of the biggest antique shops in Mississippi, making it a must-visit. The store includes more than 100 vendor booths, which means the assortment of merchandise is as expansive as the shop itself. 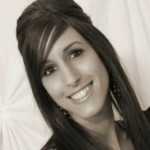 Relics Marketplace is located at 248 S Green St., Tupelo, MS 38804. H.D. 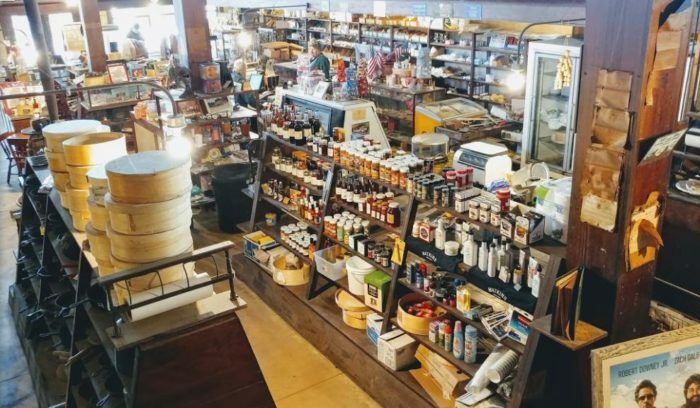 Gibbes and Sons offers great shopping and mouthwatering grub, making it a great addition to any antique-inspired journey. Open since 1892, the still-functioning general store carries a bevy of merchandise, which includes both new and vintage items. During the weekends, the store transforms into a restaurant that’s known for its perfectly grilled steaks. H.D. Gibbes and Sons is located at 140 Main St., Learned, MS 39154. In keeping with the antique theme, we suggest stopping at Monmouth Historic Inn for the night. 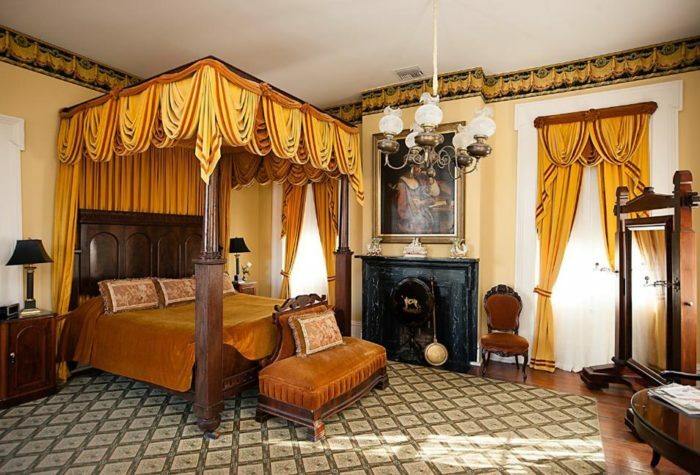 The 19th century mansion is full of antique furnishings and décor, making for an unforgettable stay. Before heading out in the morning, you can fill up on a "full southern breakfast," which is complimentary for all overnight guests. You can also take a guided tour of the home and its beautifully manicured gardens. Monmouth is located at 1358 John A Quitman Blvd., Natchez, MS 39120. 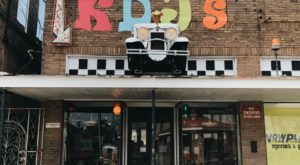 A great way to start off your second day, Natchez Junk Genies has been voted the "best variety, resale, and antique shop in the Miss-Lou." And after you step inside, you’ll quickly see why. Located in a warehouse the shop is huge – and so is the variety of merchandise. Natchez Junk Genies is located at 11 Feltus St., Natchez, MS 39120. 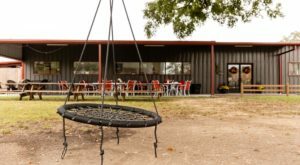 Far from your typical antique shop, this one is remotely located and housed in an old barn. 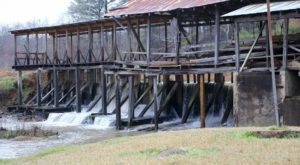 It’s situated on residential property and is open "by chance or appointment," so it’s best to call (844) OLD-BARN or (601) 596-4661 before visiting. 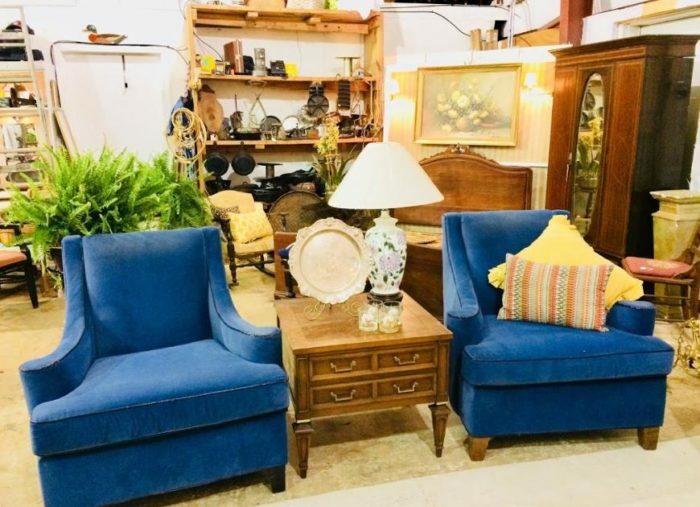 If you do catch the shop when it’s open, you’ll no doubt enjoy perusing the merchandise, which includes historic newspapers, vintage electronics, movies, books, furniture, home décor, and more. 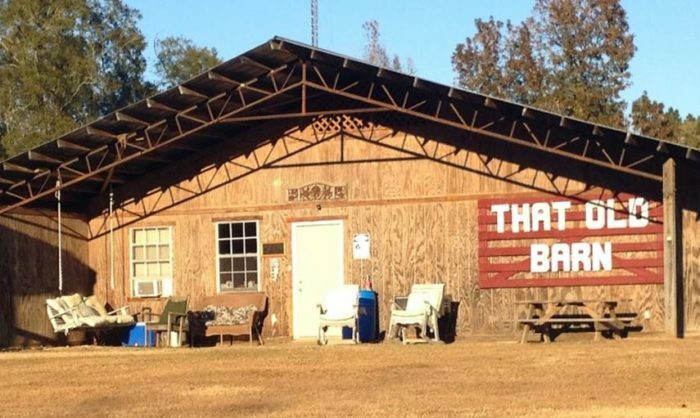 That Old Barn Antiques and Collectables is located at 8 Whiddon Rd., Purvis, MS 39475. 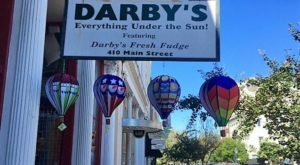 If you’re looking for a variety, you’ll definitely want to visit this Hattiesburg gem. The two-story, multi-dealer mall is jam-packed with furniture, collectibles, and many hard-to-find items. 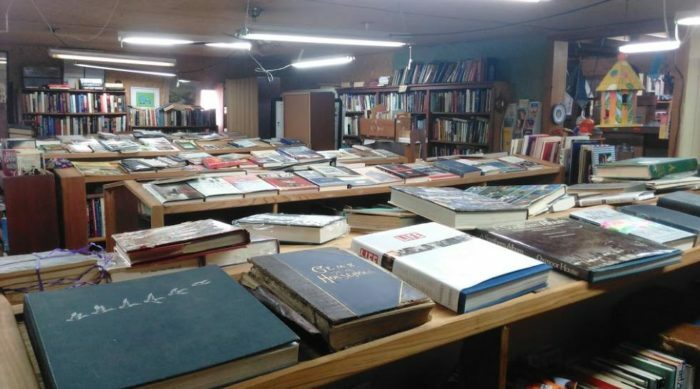 There’s even an entire room dedicated to books. 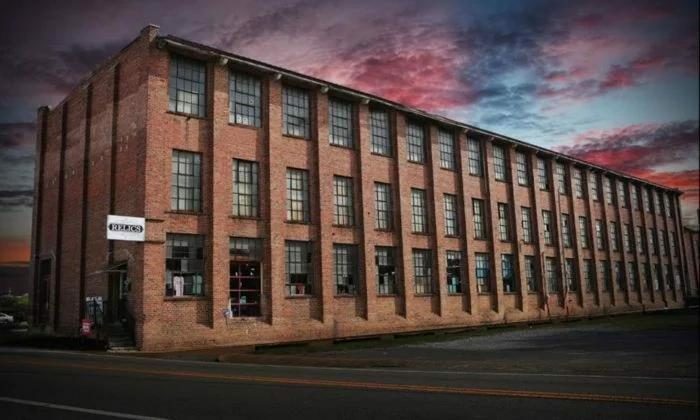 Leaman's Antique Mall is located at 2103 W Pine St., Hattiesburg, MS 39402. 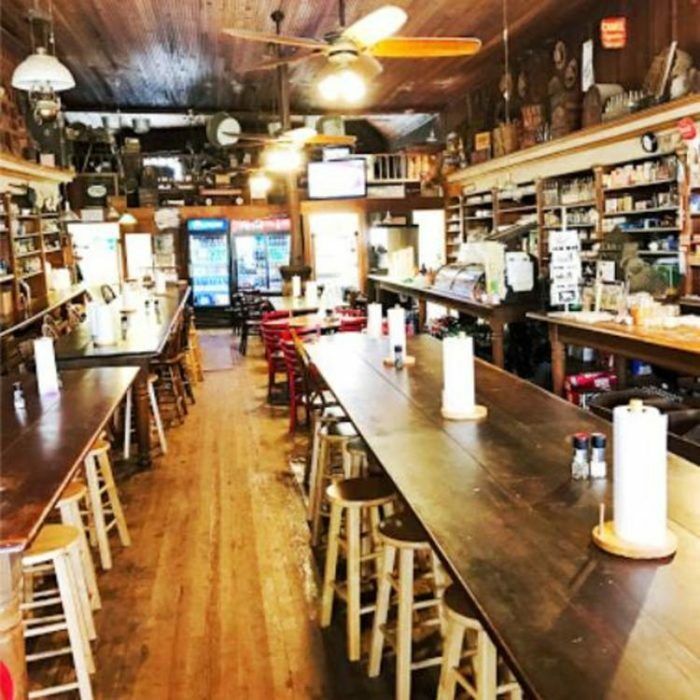 Established in 1884, the Simmons-Wright Company is the oldest general store in the state. Still in operation today, it features two floors of merchandise, among which you’ll find an impressive collection of antiques. A true one-stop-shop, the store includes a café, which is open Monday through Saturday. 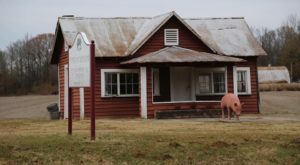 Simmons-Wright Company is located at 5493 Highway 11 and 80, Toomsuba, MS 39364. So, have you been to all the spots mentioned above? Did we include your favorite antique shop? Tell us in the comments section. 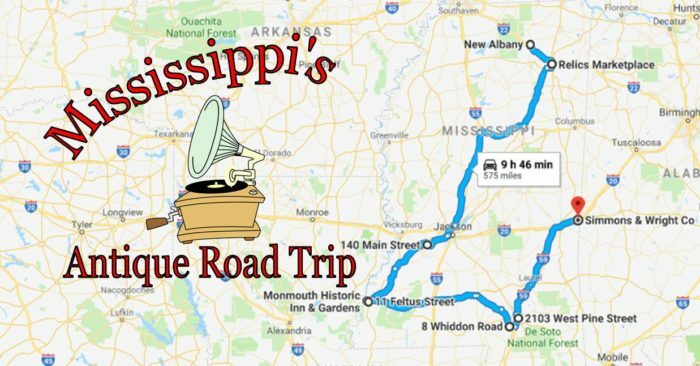 Looking for another road trip that’ll lead you to some of the state’s best sites? Click here.